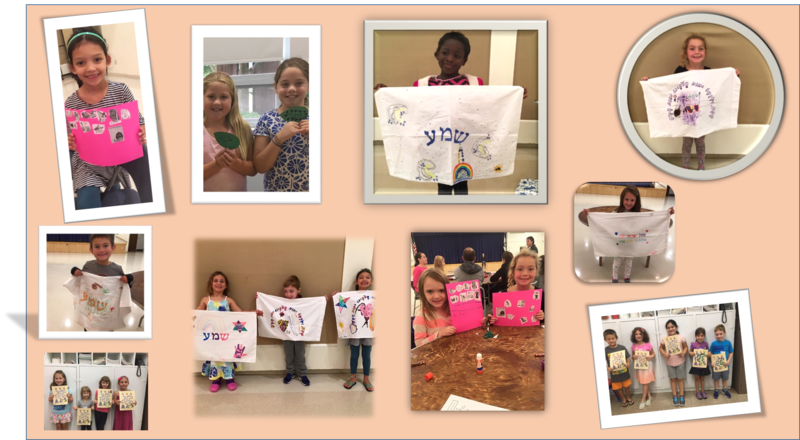 The Temple Beth Am Religious School is committed to bringing the love of Judaism to children, in an engaging way. We are blessed to have such a talented staff that uses imaginative and innovative methods to educate and inspire our students. Our Religious School program is designed for students in grades K-12. Our curriculum focuses on Jewish Holidays, Hebrew, Jewish Rituals, Torah, Mitzvot, Israel, and Jewish values. We use the Chai Curriculum in Grades 2-6 as well as the Mitkadem, Prayer Book-based Hebrew curriculum. Grade 7 focuses on Jewish values and B’nai Mitzvah Prep. Click here to view our curriculum, K-7. B’nei Mitzvah prep begins 9-12 months prior to the student’s date. The class is 40 minutes in duration, and you will be contacted by the religious school well in advance of your child’s date for lessons. In each of our K-7 classes we have teen madrichim who assist our students and teachers. They serve as wonderful role models and mentors for our students. Our High School program meets on Monday evenings from 6:30-8:30. Grades 8-10 meet every week and Post-Confirmation, Grades 11-12 meet once a month. Our teens come together to learn about current events, Torah, Jewish Values, Social Justice, and much more. In 9th-grade our students participate in a three day trip to New York to learn about Jewish history. In addition, they have time to explore the city and take in a Broadway Show. In 10th-grade our students have the opportunity to travel to Washington DC as part of the Religious Action Center of Reform Judaism’s L’taken Social Justice Seminar. Our students meet teens from all over the country and learn how to become advocates for important social justice issues. They also have the opportunity to go to Capitol Hill and speak in their senator’s and representative’s offices. Family Education plays an important role at Temple Beth Am. We believe in parents being partners in their child’s Jewish education. Each grade participates in at least one family education during the academic year. The programs center around topics they are learning in class as well as topics which are relevant for families.